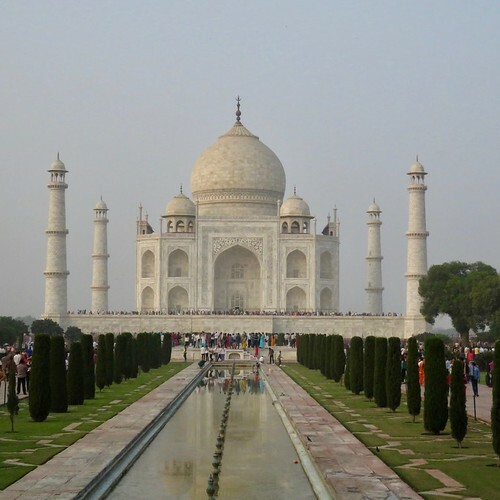 If there is a typical image of India it is the famous ‘Golden Triangle’, which includes Delhi, Agra and Jaipur. Many people fly into Delhi and take a trip around this triangle before flying back out again, without ever venturing further. While there is nothing wrong with that – it is such a well-trodden path because it includes some of the most fascinating places in India – there is much to be seen not far away. Jaipur is not just part of the Golden Triangle, but the gateway to Rajasthan. This is a state which can take you back to the extravagant world of the maharajahs, through some of the most rural and isolated parts of the country, and into some of its most unusual and exciting cities. Everywhere you step, there are stories of the past, which creep imperceptibly into the present. Most trips around Rajasthan start in Jaipur. It is a city-within-a-city: the walled Pink City and the modern city beyond it. The Pink City itself is huge and is not a preserved ‘antique’, but is the beating heart of the Jaipur that lies beyond it. Many roads are wide and choked with traffic, and there are plenty of thriving commercial businesses. It is busy and hectic, tourists mixing with shoppers who teem around shops grouped by what they sell – a street of spice-sellers, then a street of saucepan sellers. Further into the maze, things calm. The Jantar Mantar Observatory dates from the eighteenth century, with yellow and pink stone instruments: steps that reach up to the sky, huge sundials. Then there is the City Palace: a vast complex of pavilions, gardens and columns that is a joy just to wander around. Jodphur has a much calmer feel, helped by the blue that most of its houses are painted. The colour matches the sky perfectly, giving the place an otherworldly feel. The inner city is a mess of tiny alleyways running of larger streets packed with shops and guesthouses. It feels surprisingly quiet, the back-streets not disturbed by much except the odd cow and the occasional motorbike which roars through out of nowhere. The city is at the foot of a hill, on which the Mehrangarh Fort is built. This was home to generations of Rajasthani Kings, who looked out over their kingdom from behind its windows, surrounded by gold and armies of servants. Udaipur is dominated by lakes and palaces, all of them painted white. It is pure romance: no doubt many proposals have been made on the banks of those lakes, and many young relationships started. Sadly, the lakes are not as full as they once were, but the palaces which sit on their banks in the middle of them still retain their grandeur. The largest of the palaces is the Lake Palace, now a five star hotel, made of white marble which is lit up at night, reflecting into the water around it. The City Palace sits on the banks of the same lake, looking out to the Lake Palace. Its terraces are a wonderful place to sit and gain some perspective on the city. Jaisalmer is the most remote of the large Rajasthani cities. The modern city is low and dusty, the real attraction is the old city: Jaisalmer Fort. The Fort rises out of the desert like a fairytale castle rising into the sky. Walking up to it, you feel as if you are starting to disappear into another world. Once in, you find narrow, alleys for streets, small squares full of chatter, and children playing on the battlements which surround it. The views stretch for miles over the flat desert around it. Camel trips out into the desert are popular, passing tiny villages, and sleeping under the stars with the camels. More than anywhere in Rajasthan, it is a place you can forget the rest of the world exists in. Olivia Lennox is a talented travel writer based in London. She writes for a number of publications and holiday types, from last minute ski deals to epic adventures in desert landscapes.